SafeComs can protect your computers and mail servers from threats against major viruses and spam. Anti-virus is needed in all environments, alongside anti-spam for all mail servers. 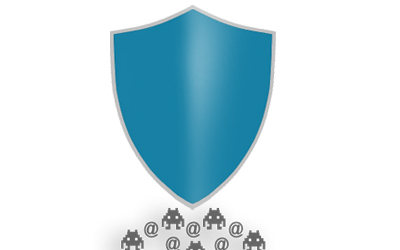 Comprehensive protection against today's growing email threats to your business. Guard your organization from the latest viruses, worms, spyware and other malware. Optional anti-virus add-on and enhanced email security available, depending on your business needs. Our VBSpam-certified (Virus Bulletin) solution delivers emails safely to and from your organization. With a spam capture rate of more than 99%, you can rest assured that your business will not be distracted nor devastated by email hoaxes, malevolent attachments and viruses. Part of the multiple Anti-Spam filters include SpamRazer technology, Bayesian spam filtering, IP reputation filtering, and greylisting amongst other technologies. By using multiple anti-virus engines simultaneously, our solution cuts down the time needed to identify and understand the most recent viruses spreading online. It offers your business faster and active protection against the latest threats. Each engine has its own specific heuristics and detection methods, and your business benefits from continual email protection. You can control the content that comes and leaves your organization's network via email. Grounded on real file type, this function also includes dictionary keyword and regular expression checks to monitor the language of emails and protect your business from data leaks, whether accidental or malicious. SafeComs offers a Spamtag Outlook add-on, where each user can tag spam emails individually and manage their own quarantined spam without administrator intervention. Each person can also create their own blacklists and whitelists of senders. Your organization will have reduced threats from emails with multiple ongoing anti-virus engines and the latest technologies, giving you and your staff the time to focus on what you do best. When you do need to manage your emails, a centralized and easy-to-use web interface gives you tools and options, such as a POP3 downloader, email monitoring and disclaimers. Unproductive, irrelevant or improper email use can be reduced, and your email use policy implemented throughout the organization. This can boost your business capacity towards increasing productivity and efficiency while lessening distractions.